“There are several significant [al Qaeda] leaders still on the run. (Ayman al) Zawahiri who inherited the leadership from (Osama) bin Laden is somewhere, we believe, in Pakistan. So we are intent upon going after those who are trying to keep al Qaeda operational and inspirational.” Thus spake the US Secretary of State Hillary Clinton to an Indian channel in Kolkata just before departing for New Delhi. We responded by saying that if the US has any information on the whereabouts of Zawahiri, it should share that intelligence with us. Sounds rational, except there’s a slight problem: the US will share nothing with Pakistan. If and when it has triangulated Zawahiri’s presence somewhere in Pakistan, depending on the operational requirement, and choosing the modus operandi on that basis, it will move in and take him out — unilaterally. Period. What about Pakistan’s sovereignty, international law and the UN charter? Pakistan can put all of it in a pipe and smoke it. What about GLOC (ground line of communication)? The US wants Pakistan to open it. The closure does create problems for it but it doesn’t bring the US-Nato-ISAF operations inside Afghanistan to a halt. There’s the ALOC, air line of communication, expensive, tedious and long. But deeper pockets can take care of that. The US and allies would still need the GLOC for carrying equipment back but hopefully by then Pakistan will have been coerced into opening it. This was Pakistan’s trump. Pakistan has played it even though in any game of brinkmanship one should never play one’s trump. The trump has been trumped, no value added, and Pakistan has pushed itself into a corner in its relations with the United States. Pakistan has a litany of complaints against the US; the US has an equally long list of complaints against Pakistan. In such a situation, the more powerful side carries the narrative and makes it stick. That’s exactly what has happened. The US complaints get a world audience; the US is leading a pack of nations; most, if not all, also share its concerns and threat perceptions. Even those who might not always support its approach agree on two things: there is a terrorist threat that needs to be neutralised and the epicentre of it is in Pakistan’s ‘badlands’. Pakistan can beat its chest and lament about how unfairly it is being treated by the US but that narrative dies down within Pakistan, and in any case, is mostly pooh-poohed outside Pakistan. Even within, the civil-military divide ensures that no one believes a word of what the army or the ISI says. Add to this other troubles, most significant being the non-acceptance of the state of Pakistan itself by many Pakistanis and we have a situation ideally suited for external forces to exploit. It should surprise no one that the US is now pursuing a policy of making Pakistan irrelevant to an Afghan settlement and, if need be, bringing the war more actively to Pakistan. The trajectory has taken Pakistan from being a US ally to frenemy and, if the current situation continues to deteriorate, would possibly see it become an overt enemy. The US has also, over the years, put in place an elaborate spy network in Pakistan. It has been conducting special operations and has upstaged Pakistani intelligence agencies, including the ISI, in their own backyard. It was quite pathetic how an unnamed ISI official was trying to act hurt by the fact that while it was the ISI that gave the lead on Bin Laden to the CIA, the Americans kept the ISI out of the loop. Tough luck fella. The Americans learn even when they learn the hard way. But when they do, they do a pretty thorough job of it. As the most powerful state in the world which will retain that position in the foreseeable future, America should be expected to do whatever it can to protect both its core and peripheral interests. And it will strike back too when it finds any state or non-state entity trying to thwart its plans. In statecraft this is legitimate. If a state wants to stand up to a bigger, more powerful state, it should either have equally strong backing or it should acquire the wherewithal for such a contest itself. Pakistan has neither. The deeper irony is that while Pakistan relied all these decades on American largesse — civil and military — to stand up to India, it is today in an unenviable position of trying to normalise with India just as its relations with the US are nosediving. But woe betide anyone who thinks that India will let go of this opportunity. Just like the US, India too wants a pliable Pakistan. 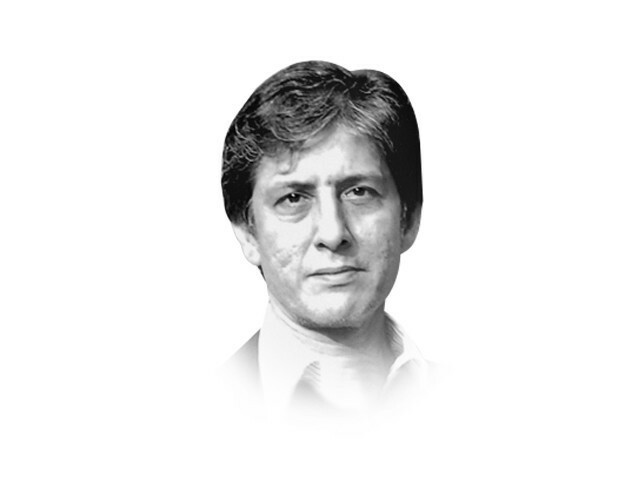 A Pakistan that resolves all the existing disputes on India’s terms, whose military cannot challenge India, and which offers India the space the latter requires to project its soft and hard power in the region and beyond. Yes, beyond, because it is in the nature of power to project itself and India is no exception to that rule. So, while India is happy to see Pakistan normalising relations with it, it will continue to exert pressure, in tandem with the US and the rest of the world, to shape Pakistan. This too, as statecraft goes, is legitimate. What are Pakistan’s choices? Near-zero. The state’s legitimacy is challenged from inside; the state’s ability to influence events in the region has dwindled to almost nothing; the state has no capacity to project its narrative; the rightwing is working against it by isolating it from the rest of the world; the left-liberals consider it a security state that needs to be reshaped in line with the narrative that comes from the outside. And now, the commitment trap. If the US doesn’t apologise, GLOC won’t be opened. The US won’t. Pakistan won’t get invited to the Chicago summit. Neither side wants it to get worse. Both are committed to their courses of action. The US has more choices. It can now go solo in Afghanistan and also coerce Pakistan. Pakistan’s strategic assets, geography etcetera, are now its liabilities. The ball’s in Pakistan’s court. Published in The Express Tribune, May 10th, 2012. Next THE PENTAGON: How to help Al Qaida WIN!